Retinoid X receptors (RXRs) and retinoic acid receptors (RARs) are nuclear receptors that mediate the biological effects of retinoids by their involvement in retinoic acid-mediated gene activation. These receptors function as transcription factors by binding as homodimers or heterodimers to specific sequences in the promoters of target genes. 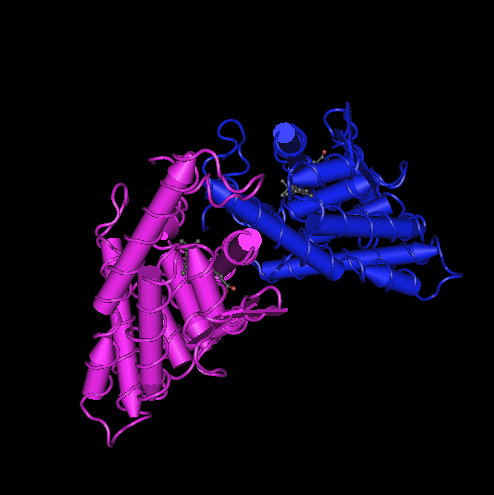 The protein encoded by this gene is a member of the steroid and thyroid hormone receptor superfamily of transcriptional regulators. Alternative splicing of this gene results in multiple transcript variants. There are 214 articles specifically referring to this gene in PubMed. Functionally, the gene has been tested for association to diseases (Adenocarcinoma; Adenoma; Alcoholism; Attention Deficit Disorder with Hyperactivity; Autistic Disorder; Bipolar Disorder; Carcinoma, Squamous Cell; Cholesterol, HDL/blood*; Colonic Neoplasms; Coronary Artery Disease and 13 others), proposed to participate in pathways (Adipocytokine signaling pathway, Basic mechanism of action of PPARa PPARb(d) and PPARg and effects on gene expression, Degradation of the RAR and RXR by the proteasome, FXR and LXR Regulation of Cholesterol Metabolism, Map Kinase Inactivation of SMRT Corepressor, Mechanism of Gene Regulation by Peroxisome Proliferators via PPARa(alpha), Non-small cell lung cancer, Nuclear receptors coordinate the activities of chromatin remodeling complexes and coactivators to facilitate initiation of transcription in carcinoma cells, Pathways in cancer, PPAR signaling pathway and 5 others) and processes (aging, axon regeneration, cardiac muscle cell proliferation, cellular response to insulin stimulus, female pregnancy and 19 others). Proteins are expected to have molecular functions (double-stranded DNA binding, metal ion binding, retinoid-X receptor activity, steroid binding and 2 others) and to localize in various compartments (cytoplasm, membrane, nucleus, axon). Putative protein interactors have been described (ACVR1, ARNTL, BCL3, BRD8, CHD9, CLOCK, CNOT1, COPS2, CTNNB1, CTSL1 and 80 others). The principle application of this assay product is in the screening of test samples to quantify functional activities, either agonist or antagonist, that they may exert against the human retinoid x receptor. This kit product is an all-inclusive assay system that includes, in addition to RXRα Reporter Cells, two optimized media for use during cell culture and (optionally) in diluting the test samples, a reference agonist, Luciferase Detection Reagent, a cell culture-ready assay plate, and a detailed protocol. The gene contains 18 distinct gt-ag introns. Transcription produces 9 different mRNAs, 7 alternatively spliced variants and 2 unspliced forms. There are 7 probable alternative promotors and 3 non overlapping alternative last exons (see the diagram). The mRNAs appear to differ by truncation of the 5' end, truncation of the 3' end, presence or absence of 6 cassette exons. Efficacy of translation may be reduced by the presence of a shorter translated product (uORF) initiating at an AUG upstream of the main open reading frame (in variant bAug10, cAug10, dAug10). ACVR1, ARNTL, BCL3, BRD8, CHD9, CLOCK, CNOT1, COPS2, CTNNB1, CTSL1 and many others. RXR is a common heterodimer partner for “Type 1” nuclear receptors including the PPARs, RARs, TRs, LXRs etc. See this figure for more information.